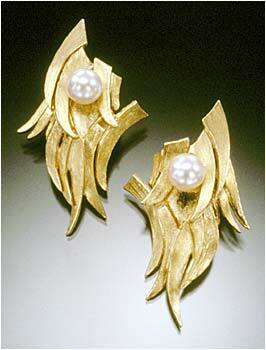 Earring jackets in 14 kt yellow gold. - Pearl stud - 7mm. Note: Diamond studs with a tw. 1.30ct or higher look great in these jackets.